If you are getting started with financing your college career by exploring your loan options, you may wish to look into the offerings of the Panhandle-Plains Student Loan Center. The organization is the customer interface for Panhandle Plains Management and Servicing Corporation, a for-profit financial aid corporation in the state of Texas and the Panhandle-Plains Higher Education Authority, a non-profit dedicated to serving students in West Texas. You need not be a Texan to benefit from the offerings of the organization. The mission of Panhandle-Plains is to extend an array of affordable and incentive-based student loans to college students, as well as to partner lenders who originate Panhandle’s student loan products. Many of the loan products are guaranteed student loans. One of the standout perks of Panhandle-Plains is their tough commitment to preventing defaulted loans. If you go through them for your loan package, you are nearly guaranteed to have no trouble with defaulted loans. The Center is a fantastic place for a student to begin browsing directories and comparisons of a variety of loan choices. Panhandle-Plains is now a partner of ACS, a student loan service in the industry, and is now handling their customer base through the ACS borrower services website. 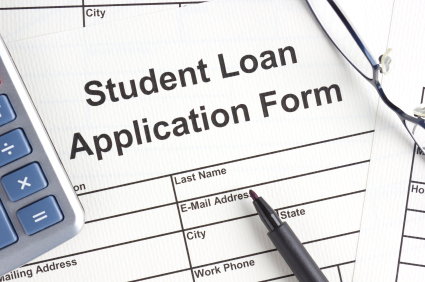 The Panhandle Plains Student Loan Center publishes a number of lender lists from which student and parent borrowers can choose an appropriate lender for their student loan. These lists are divided into two sections: there is a list of lenders who originate their own Panhandle student loans, and a list of lenders whose loans are originated through the management services of Panhandle Plains Management and Servicing Corporation. Students that borrow loans from lenders who use Panhandle-Plains loan management services will access their student loan accounts from the Panhandle Plains Student Loan Center online. This is fairly user friendly and will be easy to navigate for students and parents alike. Students can also manage their accounts online and apply for further student loans or deferments and student loan consolidations. Additionally, the website has some college planning information, career possibilities, and preparation tools, making it a great overall resource for the future student. The site is divided up into various sections for all who may find it useful, from parents and students to guidance counselors and financial professionals. Student borrowers who default on the repayment of their college loans can quickly find themselves in financial hot water. A default, if ignored, can destroy one’s financial future by affecting one’s ability to ever purchase anything with credit in the future. No one wants a graduate to default on his or her loan repayment. Panhandle-Plains is so committed to reducing default that they take a very proactive approach. They offer a “hotline” to their Default Prevention department so advisers can head off student loan disaster before it happens, or even after it happens. This “insurance” against defaulted loans is ideal for the student with a less than perfect financial history or anxiety about not making payments. The federal loan products managed by Panhandle Plains Student Loan Center include guaranteed Stafford Loans, Perkins Loans and the PLUS loans for parents and graduates. You may have heard of the Panhandle Plains Advantage Loan (PPAL), a private, alternative and credit-based loan that the organization used to offer, however that loan is unfortunately no longer available. Refer to the Panhandle-Plains partner ACS website for the most up-to-date information on the loans offered. Whether the private loans, federal loans, or default prevention program are the aspect of Panhandle-Plains that appeals to you, there is quite a bit to choose from among their guaranteed student loans. Be sure to check out the Glossary and FAQ sections of the Panhandle-Plains resource guide to answer any further questions that you might have about getting started as a borrower.